In honor of Batman’s 80th anniversary, DC Universe is opening its doors to non-subscribers and offering unbridled access to all content featuring the Dark Knight. On Saturday (via Newsarama), fans can immerse themselves in the streaming platform’s collection of Batman comics, films, and TV shows, free of charge. It’s still a relatively new platform, but DC Universe already has plenty of Batman titles for users to choose from. Unfortunately, neither the ’60s Adam West TV series nor any of Christopher Nolan’s films are available options. However, fans can see Tim Burton’s 1989 Batman movie and its sequel, Batman Returns. They can also travel back to an oft-maligned chapter in the Dark Knight’s cinematic history with Joel Schumacher’s Batman efforts. Also included are the vast majority of the Dark Knight’s animated exploits, including Batman: The Animated Series. From there, visitors can explore Batman’s other adventures in the larger DC Animated Universe. Both Justice League and its follow-up, Justice League Unlimited, are available to stream in their entirety. If they’re looking for something more retro, Super Friends should be enough to sate their nostalgia. Plus, the library gives viewers the chance to catch up on just about every animated film featuring Bruce Wayne’s alter-ego. These include the critically acclaimed Batman: Mask of the Phantasm and the adaptation of Frank Miller’s The Dark Knight Returns. Of course, this collection wouldn’t be complete without a wide assortment of Batman comics for readers to pore through. Whether they want to explore the character’s Detective Comics beginnings or Miller’s gritty reinvention of the Dark Knight mythos, DC Universe has them covered. Readers can also brush up on one of Batman’s more modern adventures with Scott Snyder and Greg Capullo’s “The Court of Owls” storyline. Additionally, DC Universe is offering a limited-time deal for any potential new subscribers. Anyone who signs up between March 29 and April 4 will only have to pay $0.80 for the first month. After this, the price reverts to its normal rate of $7.99 per month. 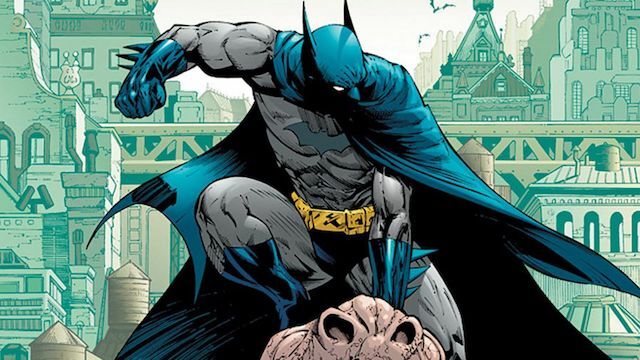 Will you be taking advantage of DC Universe’s celebration of Batman’s 80th anniversary? Which titles are you most excited to watch or read? Let us know in the comment section below!